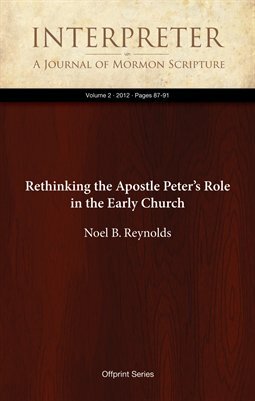 Review of Martin Hengel, Saint Peter: The Underestimated Apostle. English translation by Thomas H. Trapp. Grand Rapids: William B. Eerdmans, 2010. 161 pp., with indices.